The San Leonardo Farmhouse Complex nestles on a hill. The complex is 99 metres above sea level and is 4 km from the sea. 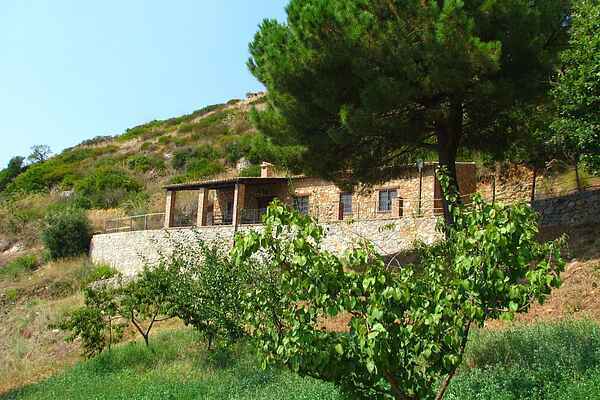 It is surrounded by olive groves. The country estate covers 100 hectares. The Tuono Apartment is in a quiet area and enjoys beautiful views of the sea. The other apartments on the estate are 100 metres away. This creates plenty of privacy. The apartment is furnished in a traditional style, nicely renovated and well kept. There are various products for sale such as olive oil, wine, liqueurs and vegetables preserved in olive oil. You can enjoy a day trip to the Luigiane Thermal Springs. You can also visit the Aeolian Islands in summer from the small harbour of Cetraro.